You know I’ve been having a lot of fun with my Cricut Maker lately, but today’s project opens up a whole new (amazing!!) 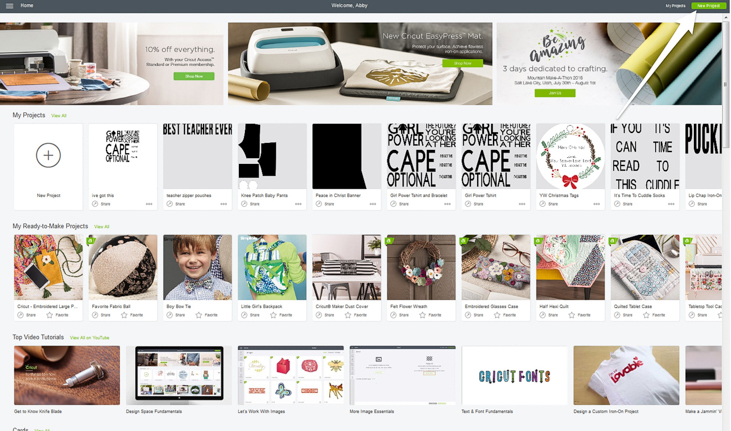 arena for Cricut + sewing projects! I used my Cricut Maker and a Riley Blake Quilt Kit and pattern (all found on Cricut’s website) to make an adorable baby quilt, and it was the most fun I’ve had quilting in quite some time! 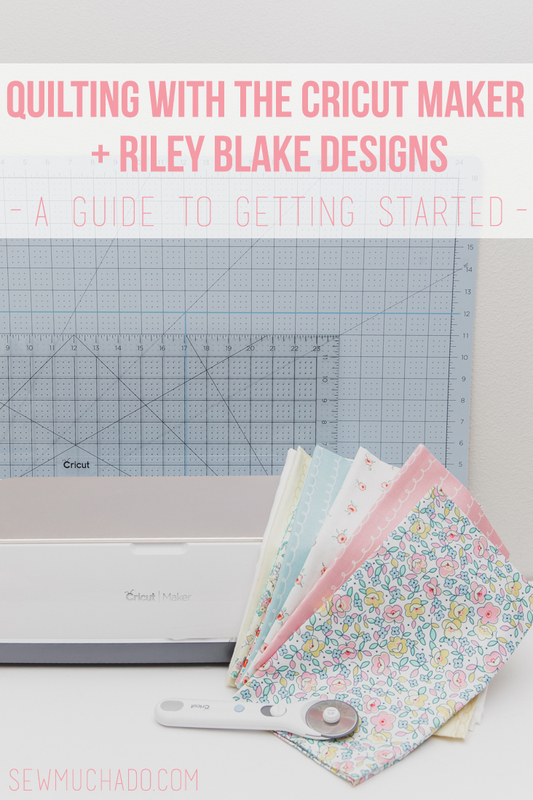 Today I’m going to walk you through the steps to get started on your own Cricut Maker + Riley Blake Designs quilt, and in the coming weeks I’ll walk you through the next stages of cutting and sewing. 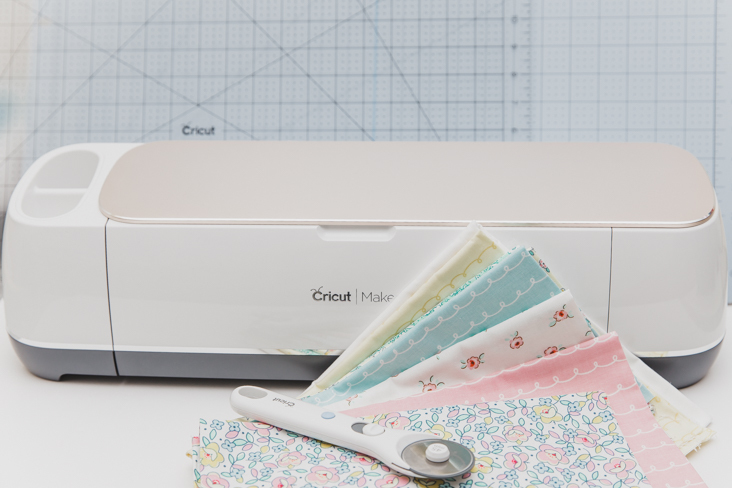 Ready to get started quilting with the Cricut Maker? 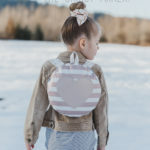 I’ve been using my Cricut Maker for a lot of different sewing projects lately, including the free baby pants pattern I shared with you, a bow tie for Weston (perhaps my fav photoshoot ever), and even an adorable backpack! But one thing I hadn’t done until now is quilting! It was refreshing to try a new project, and even more refreshing to see just how time and energy using my Maker saved me! 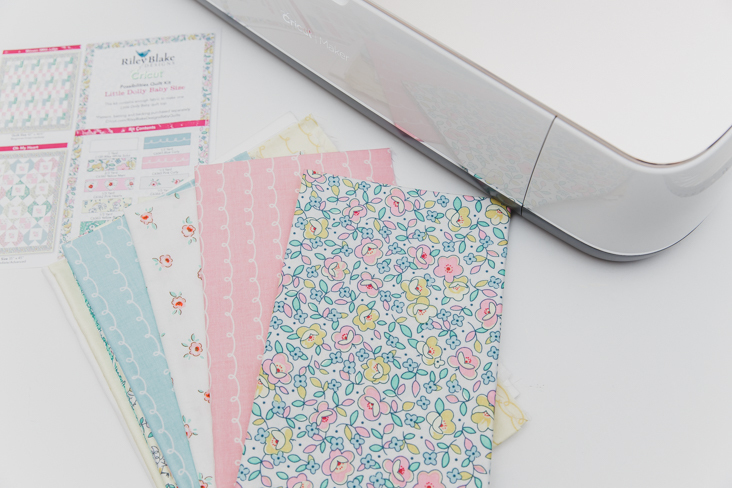 When getting started with a new quilt idea, it’s always tricky to decide whether to choose the fabric or pattern first! 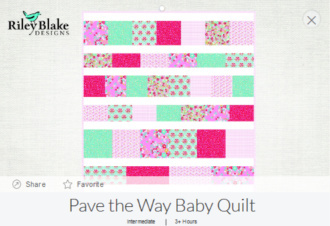 I feel like they both take turns taking the lead, and one thing I really loved about this project is that one Riley Blake Quilt Kit will work for all of the baby quilt patterns available on Design Space! It gave me a little relief to have that flexibility – just choose the fabric you love, and you can change your mind on the quilt pattern down the road if you’d like! 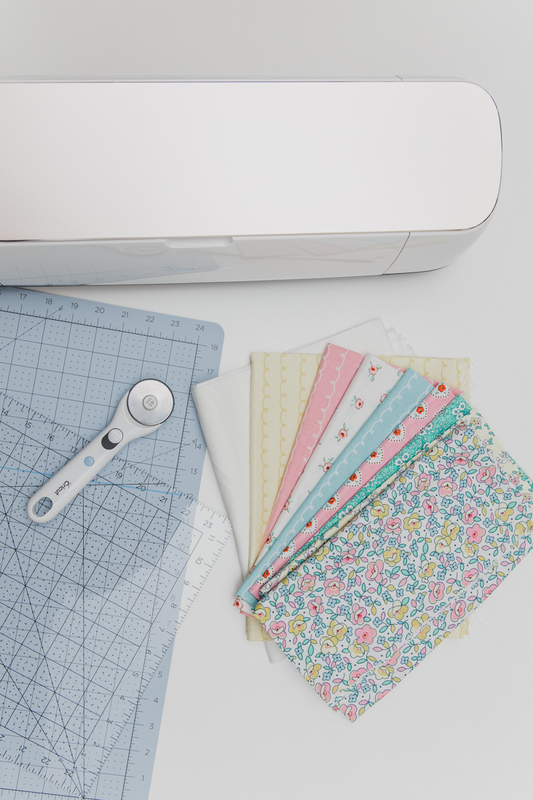 Quilting can be intimidating to both a new and experienced sewist, and using the Cricut Maker to cut Riley Blake’s digitized patterns is such a great time, energy, and brain-power saver! 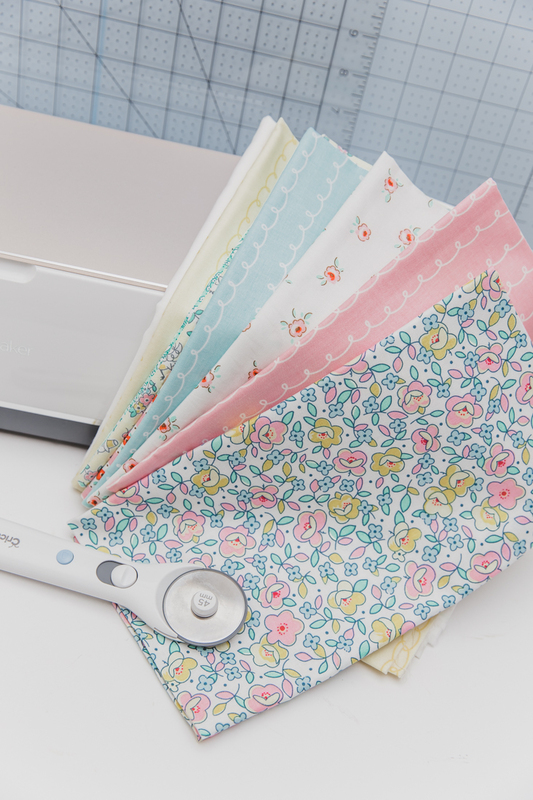 It takes what is many of our least favorite parts of sewing and lets you breeze through it to the fun part – the sewing! This time around, the fabric lead the way for me with the project decisions (can you blame me with these sweet prints??). 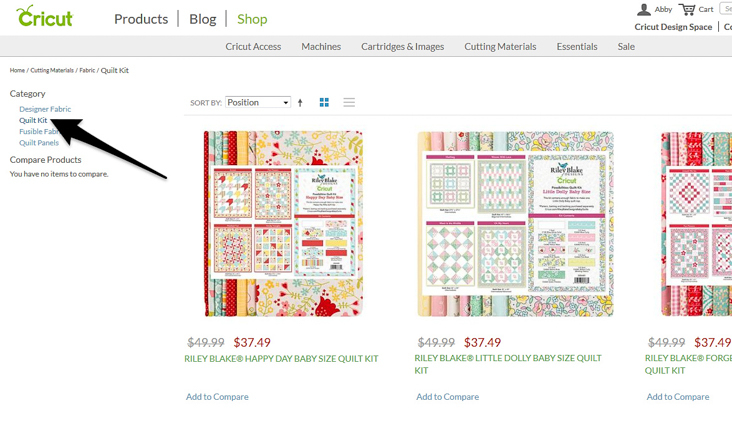 To view all of the Riley Blake Quilt Kits, head to Cricut (the main site, not Design Space), and click “shop” in the upper right corner. 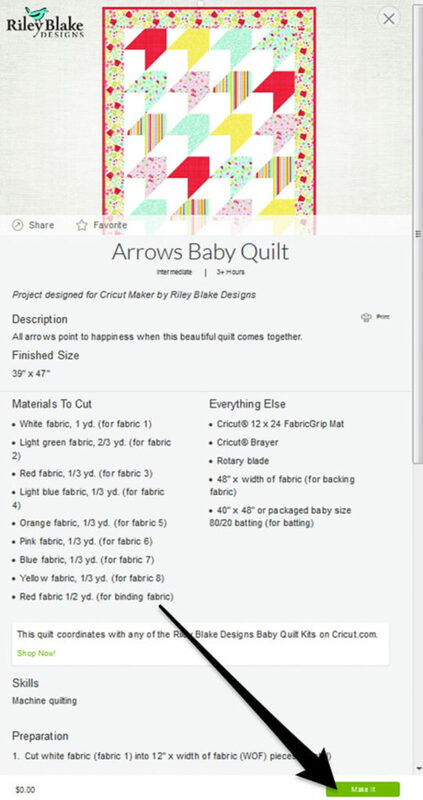 Next, click “cutting materials,” and then select “quilt kits” under the “fabric” heading. I was just so drawn to the vintage feel of the Little Dolly Quilt Kit that it was an easy decision! 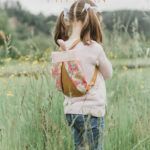 The pastel colors and sweet prints reminded me of something that my mom would have made me as a child, and it brought back such sweet memories of my favorite quilts from my childhood. It’s funny how a quilt can hold so much emotion, but I think that all of the time and energy put into making one is so worth it, as those memories truly can last a lifetime. 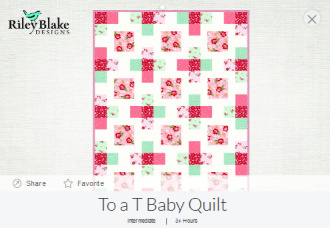 Once my fabric decision was made, I was ready to browse through the large selection of Riley Blake quilt patterns available on Design Space. To do so, go to Design Space and log in. You’ll be taken to the main page, where you will then click on “new project” in the upper right corner. When taken to the project page, click “project” on the left hand side. 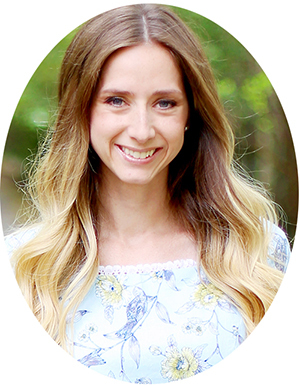 Next, click on “all categories,” where you’ll be able to select “Riley Blake Designs,” which will show you all of the Riley Blake quilt patterns. 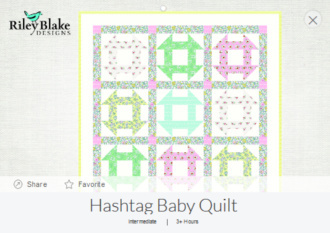 Be sure to choose a pattern based on the size of quilt kit you are using, as there are both baby and throw sizes to choose from. But my very favorite won out in the end, the Arrows Baby Quilt! I loved the modern design, and knew it would be super cute mixed with the vintage feel of the fabric kit I chose! 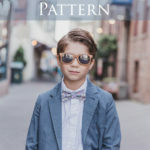 To get the pattern, just click “make it” on the bottom right hand corner and it will take you through the steps to purchase it. Once my quilt kit arrived in the mail, I couldn’t wait to get started! It was awesome how little I had to do to prep the fabric before allowing the Cricut Maker to do all of the cutting work! Because many of the fabrics came in 1/3yds, they were already cut to 12″ in width, which is perfect for the Maker and this pattern. 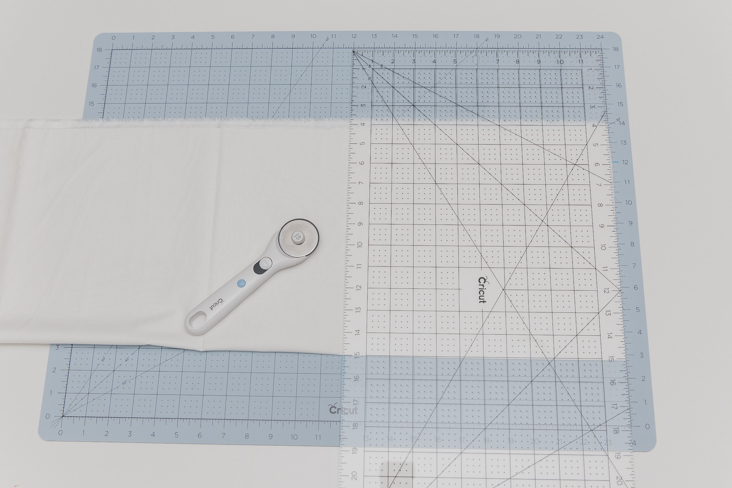 I used my Cricut cutting mat and rotary cutter to trim any loose threads and selvages (I often just left the selvages on and placed them just above the fabric mat’s cutting area before cutting), and I was ready to put my Maker to work cutting! 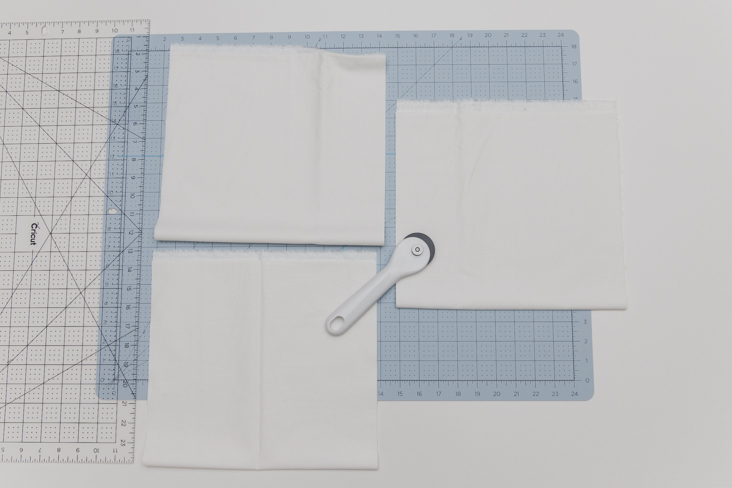 To prepare the solid white fabric for cutting, I needed to trim it to 12″ widths. The acrylic ruler was perfect for this as it’s 12″ wide! I’ve always used a ruler that is only 6 1/2″ wide, and the extra width is a game changer. I’ve already used it for multiple projects and it has come in so handy! 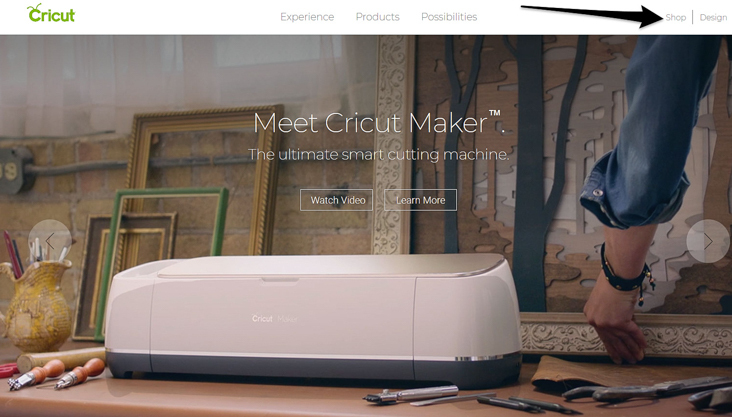 Have you done any quilting with the Cricut Maker? I’d love to hear! 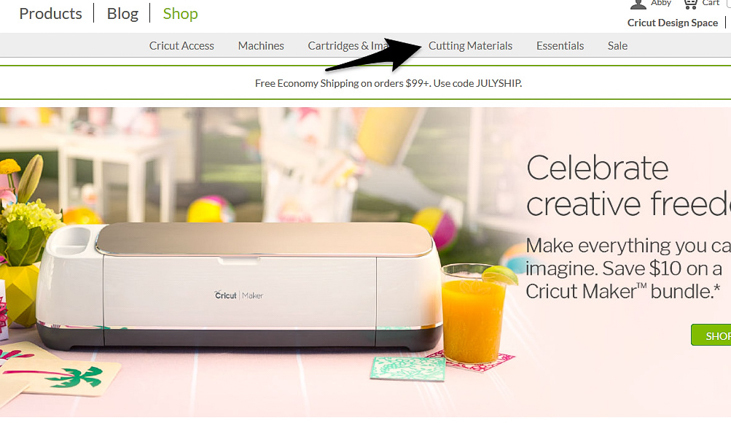 Ready to learn how to cut your quilt fabrics with your Cricut Maker? Head HERE to read our post all about it!